Three Queens residents who targeted elderly people as part of an elaborate scheme to burglarize the victims’ homes have been convicted and sentenced for hate crimes. 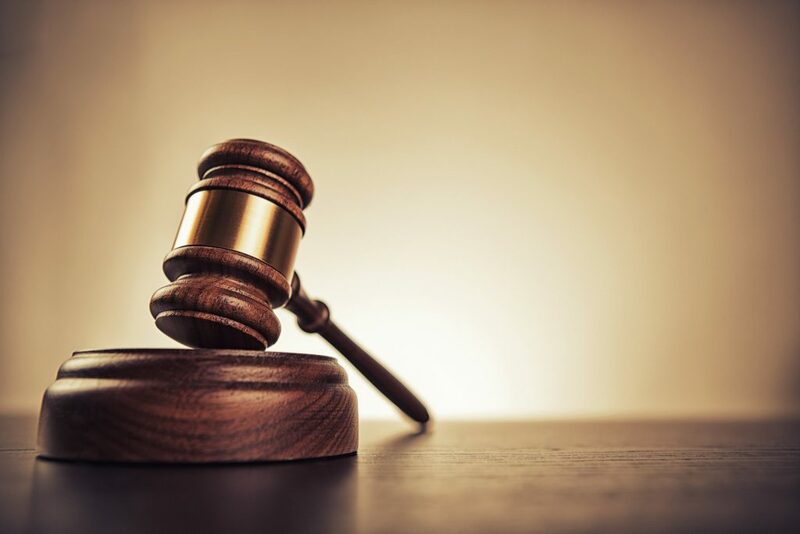 The trio were convicted of burglarizing or attempting to burglarize five homes, which were located in Flushing, Jackson Heights and Maspeth, in summer 2016, according to the Queens District Attorney’s office. At least two other perpetrators, a man and a woman, are still at large, according to the Queens District Attorney’s office. Maspeth residents Tony Cristo, 37, his ex-wife, Teresa Howard, 38, and his sister, Rosie Cristo, 34, used trickery to persuade elderly people to let them inside their homes, District Attorney Richard Brown said. The three even brought along a little girl to help fool their victims. The trio were convicted of enhanced charges under the state’s Hate Crimes Act of 2000, Brown said, because they chose to target people who are 60 years of age or older. Tony Cristo and Howard pleaded guilty to second-degree attempted burglary as a hate crime on July 6, and they were sentenced to 10 years in prison plus five years post-release supervision. Rosie Cristo also pleaded guilty to second-degree attempted burglary as a hate crime and was sentenced to three and a half years in prison followed by two and a half years post-release supervision. Brown called the defendants “despicable” and condemned their crimes. One of the attempted burglaries took place on July 25, 2016 at 50th Avenue in Flushing. A different woman, who has not yet been arrested, walked through the front door of the home of a 91-year-old woman and told the victim she was her granddaughter. The elderly woman’s daughter walked into the house a few minutes later and confronted the apprehended woman. The daughter escorted the woman out of the house and saw her get into a green Pontiac, where Tony Cristo was sitting in the driver’s seat. She told the pair that they needed to leave and that she was calling the police. Howard and Rosie Cristo then attempted to burglarize the home of an 83-year-old Maspeth woman on Aug. 10, 2016, the Queens District Attorney’s office said. The pair rang the doorbell of a home on 56th drive along with a 10-year-old blonde girl. The 83-year-old woman answered the door and they told her that they wanted to speak to an upstairs tenant. When the victim told them that the tenant was unavailable, they asked her for a pen and paper to leave a note. The elderly woman realized after they left that her purse was missing. The bag had contained $60 cash, photos, an ID and medical insurance cards. Later that morning, Howard and two unapprehended suspects— a man and a woman— went inside of a home on 69th Street in Jackson Heights. The trio asked the homeowners, a 90-year-old man and his 88-year-old wife, if they could look at the construction work going on in the home. The 88-year-old woman was in bed when Howard and the female suspect walked into her bedroom. The pair asked her about the family photos on her dresser, and one of them asked to take a tissue. After the three left, the 88-year-old realized that $6,400 in cash had been taken from her top dresser drawer. Then on Aug. 20, 2016, Howard knocked on the door of an 86-year-old Flushing man’s Benham Street home. The victim believed that Howard was a woman named “Maria,” and offered her cookies and coffee. Howard asked to use the bathroom at least ten times, and the victim could hear her speaking on the phone in the bathroom. It is unknown whether any money or valuables were taken from the home. Two women, one of whom the District Attorney describes as “heavyset” and the other “slim,” walked into a Woodside Avenue home of a 61-year-old man on Aug. 26, 2016. The slim woman asked to use the man’s bathroom, and the heavyset woman sat in the kitchen eating cake. The pair left the house a few minutes later. Once they were gone, the victim realized that $200 cash, which had been rolled and fastened with a rubber band, and a Chase credit card had been taken from his dresser drawer. Police spotted Tony Cristo in the driver’s seat of a green Mazda nearby. They then saw Rosie Cristo, who is heavyset, and Howard, who is slim, walking away from the 61-year-old’s home and get into the Mazda. The police stopped the car and discovered cake as well as cash rolled up with a rubber band. They later found the Chase card inside the police vehicle that brought Howard to the precinct.